Feel stronger, better and more in control every day. Attending regular classes will help you gain strength, flexibility and feel more confident in your body. 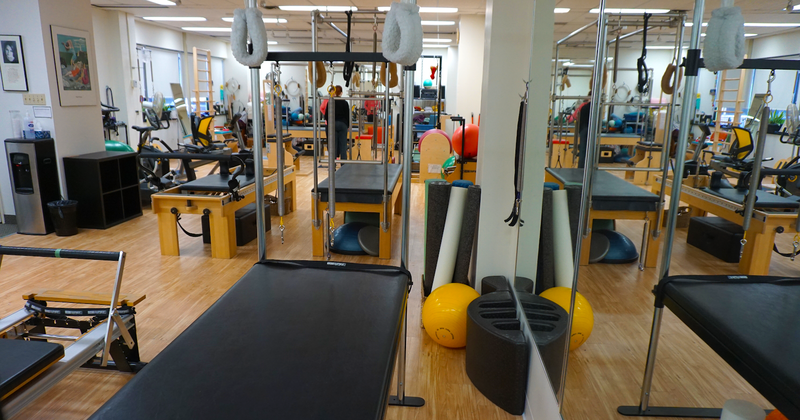 In our classes at Personal Best, we work on equipment such as Mat, Reformer, Cadillac, Chair and use other specialized small equipment. Class size is deliberately small (3-4 participants) to allow for individual feedback and correction from the Instructor. Weekly classes are regularly scheduled and held at 124 Merton Street in Toronto. Each class is 55 minutes and starts promptly. You will begin to see and feel the difference in your body as the classes and exercise build on each other. On your first visit, please arrive 15 minutes early to fill out a health form and complete payment. Personal Best Physiotherapy and Pilates accepts Cash, Cheques, Visa, MasterCard and Debit. Please note that exact change is required for cash transactions. 124 Merton Street, Suite 307, Toronto ON. M4S 2Z2. Take the first step. Sign Up today!